Reiki is light and vibration that makes harmonize our body, mind and spirit. 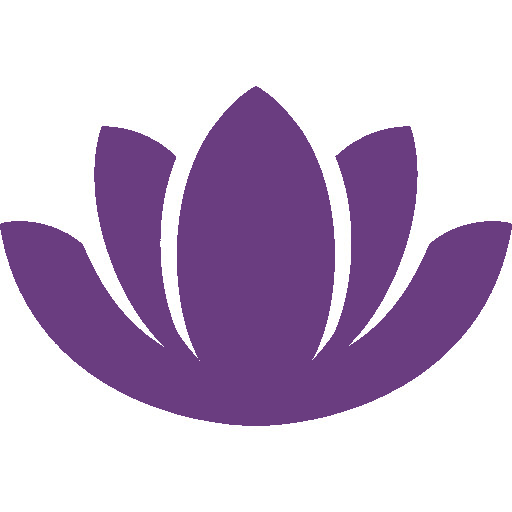 Reiki is universal energy, coming from above, flows through Crown chakra, Throat chakra, Heart chakra and its extensions-hands. Reiki Ryoho is a holistic healing to recover natural perfect condition by balancing inharmonious condition with Reiki. At the end of the 19th century, Reiki was discovered by Mikao Usui, and then, Reiki has been growing and spreading all over the world. Usui was born in Gifu prefecture in Japan on Aug.15th 1865. He traveled US, Europe and Chine, learned history, medicine, religion, psychology and shinsen jutsu. In March 1922, he was seeking for enlightenment and taking a fasting meditation in Mt. Kurama in Kyoto. After three weeks he continued, strong universal energy went through his head and he acquired a healing power of Reiki and named it as Reiki Ryoho. Next year, he founded Usui Reiki Ryoho Gakkai in Aoyama, Tokyo in order to pass on this healing ability to as many people as possible. There was a massive earthquake in Tokyo area in 1923. Usui and his students helped millions of victims of the quake. Unfortunately, Usui was passed away in Fukui while he was traveling. It was only four years from he started Reiki Ryoho to his death. Total number of his students was over two thousands. Chujiro Hayashi was one of them. He opened his own clinic in Shinano machi, Tokyo in 1925. After Usui’s death, Hayashi left the Usui Reiki Ryoho Gakkai and established Hayashi Reiki, and he initiated Reiki to 13 students, including Hawayo Takata. She was Japanese American, born in Hawaii, visited Japan to seek any healing to cure her illness. Takata was amazed by Hayashi’s healing method, which completely cured her. Then, she stayed with Hayashi, learned and practiced Reiki, was initiated as a master of Reiki before she went back to Hawaii. She opened a Reiki Clinic in Hawaii, and she raised 22 Reiki masters. After Takata’s work, Reiki become known in the weatern world by those masters. And now, you are a part of this history and Reiki family. The importance of ‘today’ applicable for all five principles. How you live today determines whether or not you will complete the necessary learning. Today is a collection of moments. This teaches us to fully live each and every moment and this whole day. Recover the balance of mind and emotion with Reiki . Live a quiet and peaceful life. Anger hurts others and yourself. It is also important to control all kinds of emotions not just anger. Selfish people tend to get emotional and corner drive oneself to destruction with anger, grudge and hate. Reiki Ryoho is the step for learning fully trust the universe. Do not have any unnecessary worries and fear. Do your best today and let the universe take care of the rest, keeping the peace of your mind. It is the key to being free from fear to believe in the universe and with the universe. You naturally become thankful if you receive the benefit of Reiki and familiarize yourself with Reiki everyday. People do not fail to feel thankful when they realize they are let line by the great nature and the people around them. When people forget to be happy and thankful out of selfish desire, they will lose the right mind. Reiki Ryoho shows how to utilize Reiki in everyday life and work. Lazy mind is bad for yourself and for the society. People will grow through work and learn through everyday life and work. Some people choose to be away from the world to learn and grow but learning through work and interaction with other people is how it primarily should be done since we are here to learn on the earth. 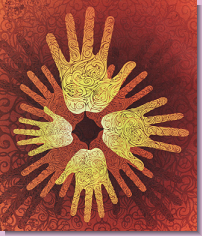 A sense of oneness can be developed naturally through Reiki healing( practice of love ). Healthy society can only be established through the cooperation of large number of people. In the universal dimension there is no distinction between self and others, only the existence of the same soul. ‘Be kind to others’ is synonymous to ‘Be kind to yourself’. We are mere channels of energy and not healers nor doctors. Do not send thoughts or wishes during Reiki healing. Just be a clear path to improve your energy flow. Recipients take in only as much as energy as it is required. Reiki can be received in any way, since it flows in the quantities necessary for the recipient. Reiki can be received in any physical posture with relaxed position. Reiki is a healing method that has no religion and its own wisdom, and do not force Reiki on anyone. Take energy exchange in any form where you feel it is required. Energy exchange is for completing the circuit and moving towards the completion. Do not attach Reiki with disease and negative emotions. If your conscious level degrades, the quality of Reiki vibration would be lowered and could always be received with the negative vibration. Start Reiki with attitude of gratitude ( Gassho ). Before and after healing, do aura cleansing. Give minimum 3 to 5 min for each position. Sequence of points can be changed at times. Give more Reiki wherever you feel like. The old pattern/problem or disease may show up during the purification process. Continue Reiki. Always give full Reiki except in the case of emergency. Minimum two people required to open the class. Only after complete level 1 and 21 days of self Reiki practice.